«The best evidence» illustrated quotation. Feeling sorrow, free quote pictures for Facebook, Twitter, LinkedIn, Reddit, Pinterest and other social networks. 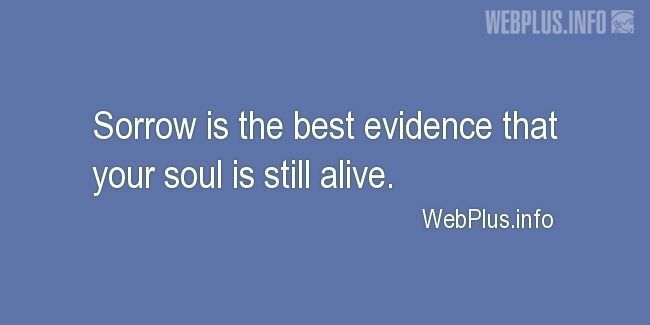 Sorrow is the best evidence that your soul is still alive.